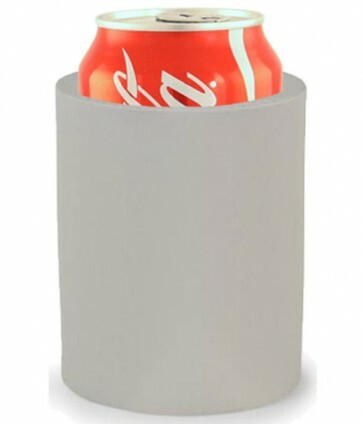 The Foam can hugger holds both bottles and cans and is proven to keep drinks colder than any collapsible koozie. Soft to the touch this koozy is comfortable to hold. Buy as few as fifty pieces and customize with your choice of any one color imprint. Comes with a free second side imprint with a high quality ink that does not rub off.